Hi everyone! 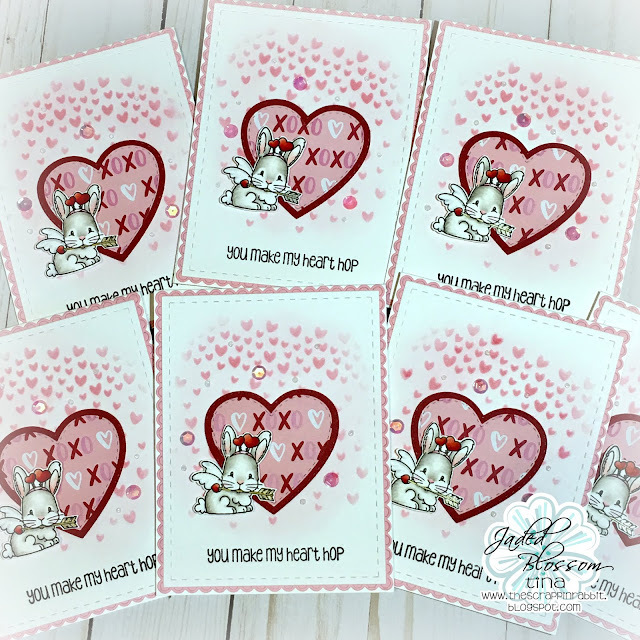 This is Tina from The Scrappin Rabbit blog and I have some Valentines to share with you today featuring the adorable bunny from the Cupid in Training stamps. I started off by coloring the bunnies using Copics. 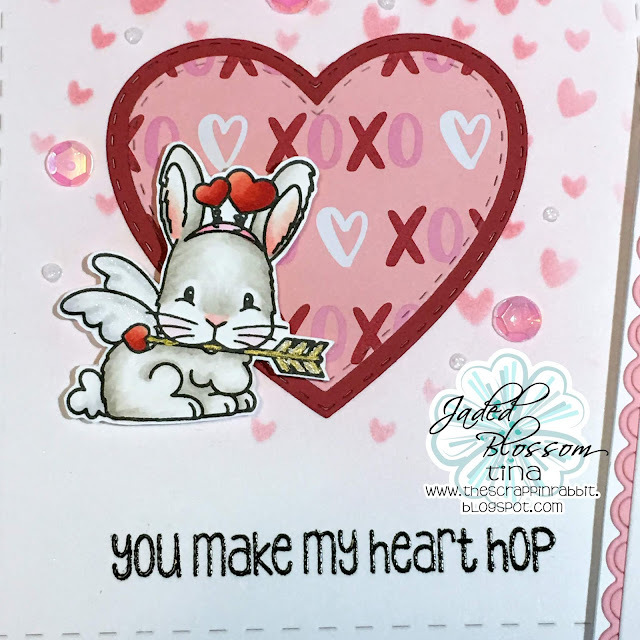 I used the Falling Hearts stencil from Stamp Anniething along with Distress inks for the background. 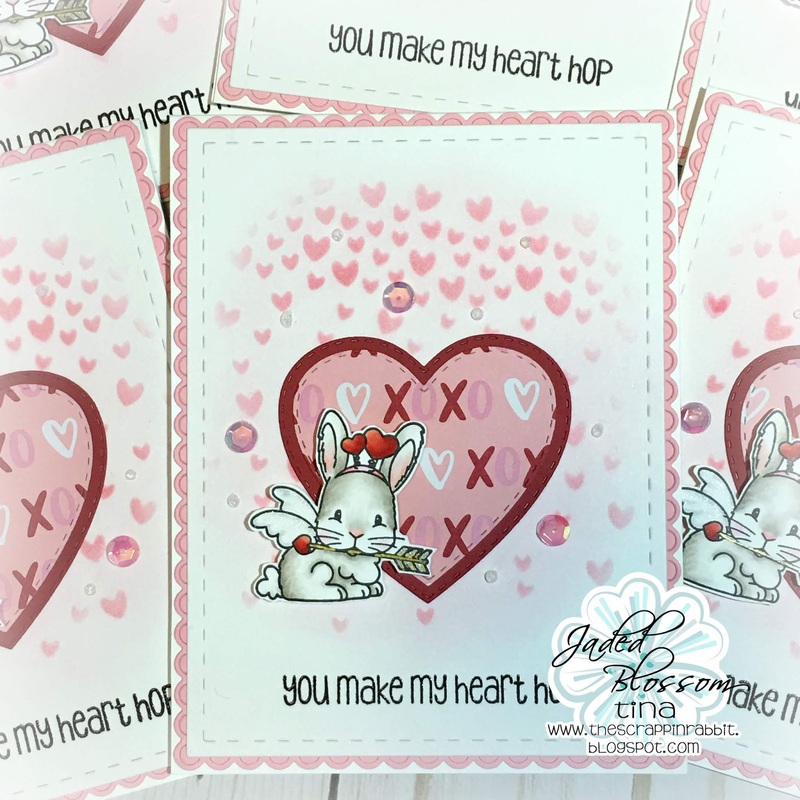 I cut the heart layers using Heart Dies 1 & 2. I used the Scallop Rectangle Dies 2 for the outer pink layer. 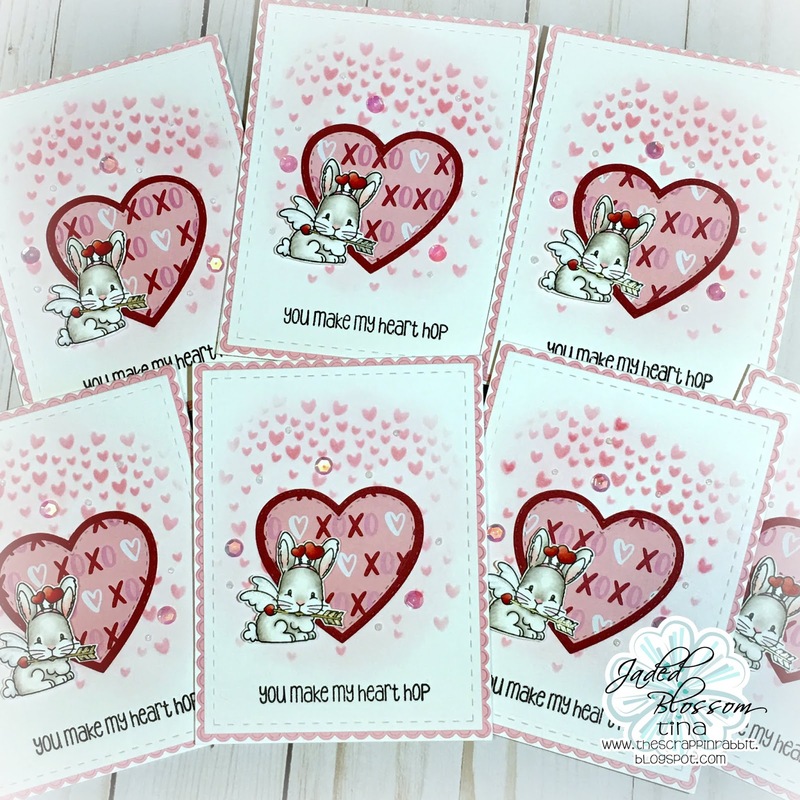 The sentiment is stamped and embossed and is from the Pugs & Kisses stamps. Finally I added some metallic accents to the arrow, some sequins and Nuvo Glitter Drops. Super cute Valentine cards!! I adore that cute bunny!! This is simply adorable, wonderful job! I love the background!!! Darling bunny!